Box Personal Training is an all-inclusive interactive personal fitness training experience. 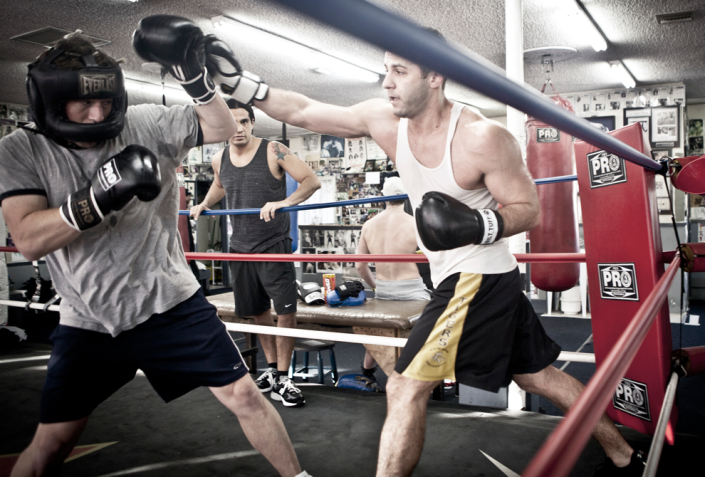 We teach non-contact boxing as fitness and we personal train the client who wants to find new ways to really get fit. Box Personal Training is not only a boxing routine though; we work with the client using all forms of physical fitness facets, including core work and intense cardio conditioning. Personal fitness training in Hollywood is a highly competitive field. We use different methods than your traditional personal trainer, using interactive boxing and conditioning routines, making all adjustments along the way to keep up with the trends. Pepe Reilly is owner of Box Personal Training. Pepe has been a trainer for over 10 years now, and has worked with some of the best physical conditioning personnel in professional sports as a professional athlete and as an amateur at the United States Olympic Training Center in Colorado Springs. Working side by side with legendary trainers like Freddie Roach and Emmanuelle Steward, Pepe Reilly has basically learned from the best. He applies to his personal training the invaluable knowledge that he has learned throughout his career to those students who have the desire and drive to reach their peak physical condition. To those who really want to get in shape, burning the maximum amount of calories and fat, Pepe Reilly’s clients will use the art of boxing along with the latest conditioning and fitness trends in personal training to acquire new levels of fitness. 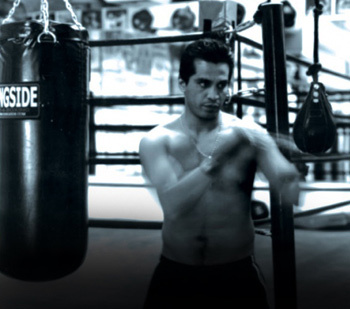 The program utilizes basic and advanced core and fitness exercises along with the traditional boxing techniques, and transforms them into a cutting edge fitness technology that not only works, but increases the speed in which desired results are achieved. Box Personal Training program gets maximum results. Period. “When it was time to take working out to a whole new level and get into the best shape of my life, training with an experienced and passionate person is what I was looking for. My name is Jennifer Redke and I am a professional disc jockey who thrives on a fast pace lifestyle that has no room for the weak. I’ve done workouts that range from many levels of intensity. Some that produced good results and others with average results. Since I’ve been training with Pepe Reilly of BOX Personal Training I’ve noticed a drop in my weight, decrease in body fat, increase in muscle tone and an enormous increase in endurance. Once Pepe new what my goal was he then set a fitness program that would not only be effective but one that was best suited for my level of experience and one that I would enjoy. The Box Personal Training Boxing Fitness Program produces results. 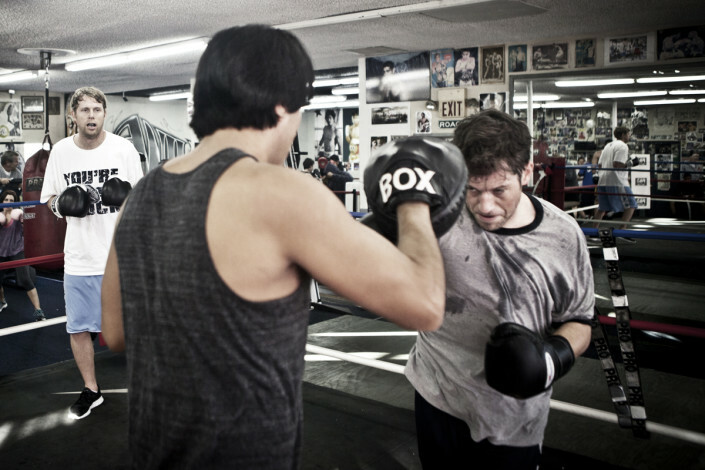 Our fitness conditioning program is fundamentally based in boxing, but it is so much more. It’s a core conditioning, muscle toning and full body cardiovascular fat burning workout that work. Beginning with basic punches and entry level drills such as jumping rope and shadow boxing, the program increases intensity with higher level mitt work and plyometric routines. One of the unique things about the program is that anyone can begin at any fitness level and advance at their own pace. The Second Science is highly regarded as one of the most effective cardiovascular workouts around. You will be challenged and pushed to your limits, but at the same time thoroughly enjoying the workouts and results that you can see. 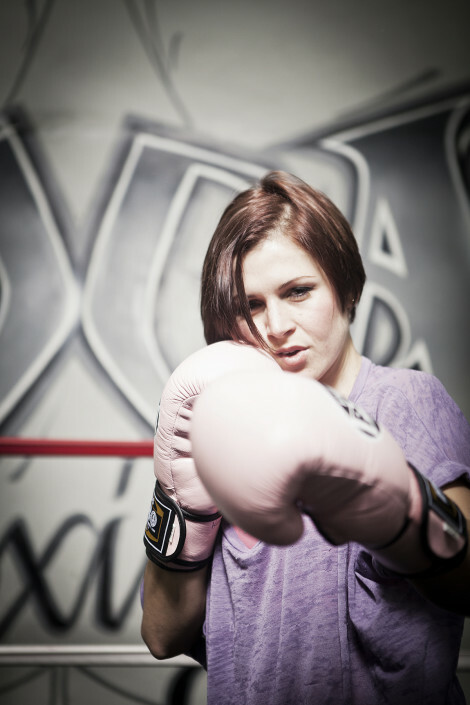 The BOX Personal Training Boxing Fitness Program will increase your metabolism to the point where it begins to continually burn calories long after you have completed your workout. Results are not limited to muscle toning and fat burning, you will experience an increase in endurance levels as well. One on One personal training is the only way for one to really achieve what one really wants to target. When in a situation where a client really needs to change the way they feel about their workout, we try to be understanding of the need at hand. Being in this field means working the personal relation between a client and their trainer, and the interest of the client who really knows what is best for themsleves. We take that information and take it one step further by adding our input based on expert analysis, and years of practice. One on one personal training is best achieved with the input of both the client and the trainer working together as an idea and not just as demands being acted out. The idea behind one on one training is to really target the personal relationship at hand. And finally to find a working module that fits. BOX Personal Training Personal Training is here to help. 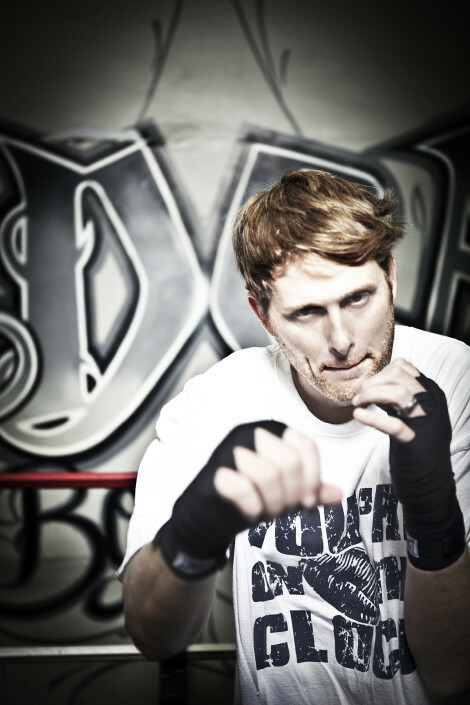 Pepe Reilly, owner of BOX personal training, offers an intense yet structured workout in an an old and fashioned yet progressive boxing gym setting. A United States Olympian in 1992 Barcelona and a top prospect as a professional as well, Pepe has worked along side the best trainers in the world. 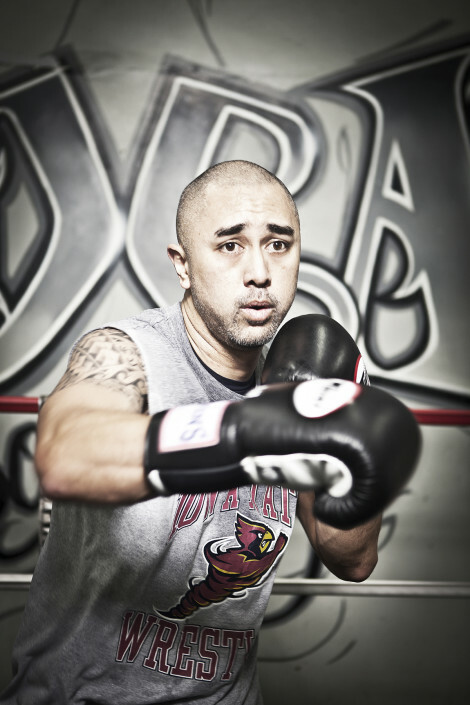 Along with being certified by the State of California and USA Boxing, Pepe Reilly has a far advanced education in fitness and conditioning in his experiences as a top rated amateur and and professional American athlete for over 20 years. Being a top American athlete means working with the best. And working with the best means sharing his knowledge with his clients. Working and living in Hollywood means working with people in the business, on both sides of the field. Actors and Models have made our business founded, but we also work with executives and owners alike, along with the everyday person. In Hollywood it is key to be in better shape than your competition, we know this first hand. In order to keep this advantage, a lot of our clients have made the choice to venture out of the traditional gym and away from the treadmills, to an alternative “secret weapon” of a workout training with us. We are still integrable enough to be called a “secret weapon style workout” because so few know about the advantages of a pure boxing conditioning routine. This no-contact boxing plus routine results in nothing but calorie burning and fat loss while toning up muscle. Those who have worked with us know what it is all about. Pepe Reilly is now at the helm of developing new cutting edge methods built from traditional boxing routines that enable the client to achieve a boxer’s peak performance condition, and in most cases accelerating the time in which one could reach the highest level of physical fitness. We are using personal training as a tool to advance the evolution of conditioning and the Boxing Fitness Workout. Learning fitness and conditioning is a new avenue for this sport, something that has never been there in the past, and something that adds a new dimension to the experience. A client can understand what it is like to get in shape as a boxer does, and shed those pounds as a boxer does before those big fights. 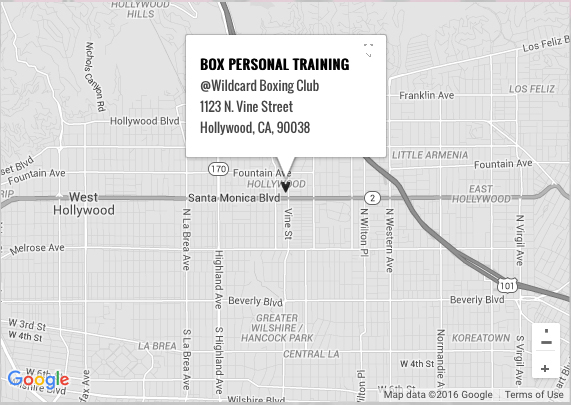 BOX Personal Training provides personal training sessions at Wild Card Boxing Club in Hollywood, California. Please fill out the online contact form below to learn more about BOX Personal Training in Hollywood, California.